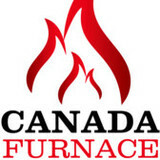 HeatCo Furnace Services Ltd. we are pioneers and luminaries in our field, sincerely devoted to providing the finest in quality installations, maintenance and repair services for air conditioning, air duct cleaning, boilers, fireplaces, furnaces, hot water tanks, and tankless hot water heaters. As highly motivated professionals dedicated to our valued clients, we are committed to meeting your needs, ensuring that you receive premium service at affordable rates. 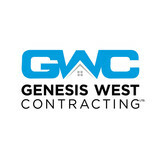 With precision and care, we employ best practice methods to guarantee maximum comfort, health, and safety in the work and home environments that matter to you. Friendly, efficient, and reliable, we are the name you can trust to supply all of your heating and cooling essentials. We specialize in the cleaning and maintenance of residential and commercial dryer vents. In addition to dryer vent cleaning we also offer a range of other services that include window cleaning, gutter cleaning, and pressure washing. Westisle Heating & Cooling Ltd. 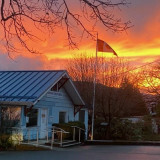 Located on Vancouver Island, Westisle Heating and Cooling repairs maintain, and services furnaces, air conditioning systems, boilers, refrigeration units, ice machines, HVAC systems and more. We also install new heat pumps, ductless splits and rooftop units for our clients' both residential and commercial properties. We are committed to installing and maintaining environmentally energy efficient systems. 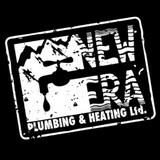 We also offer an emergency repair services 24 hours a day, 7 days a week. Generally, Nanaimo HVAC contractors or HVAC technicians work with or run companies that repair or install heating systems and air conditioning units for homes. But they have specialized services too. For example, if you are a wine collector and you are thinking of installing a wine cellar in your Nanaimo, BC home, you might hire a British Columbia HVAC professional who specializes in refrigeration work. HVAC professionals can use their skills to help you to save money on your Nanaimo, BC home’s energy bills by installing radiant barriers in your attic or split-zone heating and cooling systems to heat rooms like solariums while cooling upstairs bedrooms during warmer temperatures. Find HVAC contractors on Houzz. 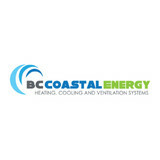 Look in the Professionals section of our website and search for British Columbia HVAC contractors. Read reviews and see how an HVAC contractor might approach your Nanaimo, BC home’s heating and cooling challenges.